Welsh “ragga metal” band SKINDRED has released a music video for its new single, “Machine”. The clip features actor and stuntman Neil Chapelhow, best known for his work in the films “Wonder Woman” and “Fantastic Beasts”. “Machine” features vocals by REEF frontman Gary Stringer and guitar by Phil Campbell of MOTÖRHEAD. The track was previously used as both the intro and outro theme to AC/DC frontman Brian Johnson‘s TV show “Cars That Rock”. Behind-the-scenes studio footage from the “Big Tings” recording sessions at Peter Gabriel‘s Real World studio in the village of Box, Wiltshire, England, can be seen below. 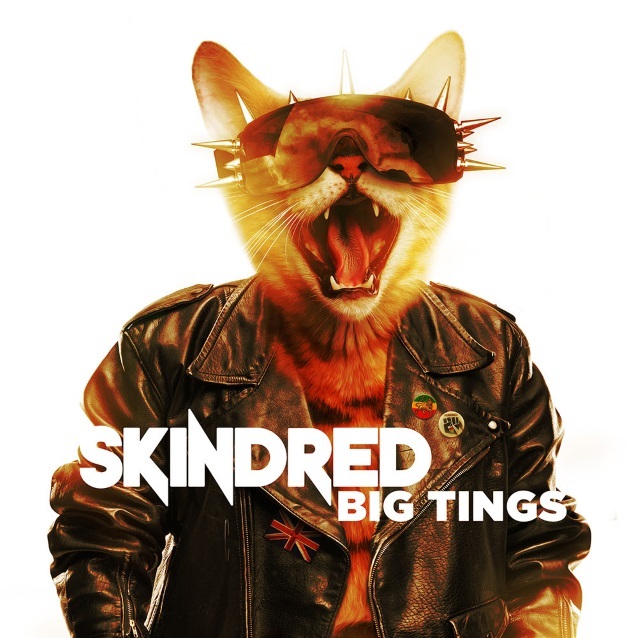 SKINDRED, along with producer James Loughrey and engineer Lee Slater, could not be more excited about what will be the band’s seventh studio album. Roaring and pounding, the follow-up to 2015’s “Volume” is a magnificent beast churning out heavy, distortion-laden riff punches melting into vocalist Benji Webbe’s frenzied rapping. Explosive metal and punk material rubs shoulders with smooth melodies — and, of course, SKINDRED wouldn’t leave us on the dancefloor without a hefty helping of their trademark Godzilla-esquely huge choruses. Big songs, big sound, big tings! SKINDRED will embark on a full U.K. tour in April with special guests CKY.